Though stated at the top of every post that this blog is "Part journal . . ." it's been never been the most prominent feature. It's usually more recognizable as a field guide. Or as a phenological record, which does shares some characteristics of a journal, but not in the "dear diary" sense. But today I'll venture into the "Part journal . . ." part of the blog, as in the journal as a personal record sense of the word. The picture above is of my daughters, Naomi and Adele sitting at the end of the walk of our NE Minneapolis house, very early in the morning this fall to watch the end of a lunar eclipse. They were very excited to see it, and got outside as quickly as possible; Adele went out bare footed and in pajamas despite the unseasonable cold (but she has inherited the barefoot gene that seems to run in the family so not unexpected). 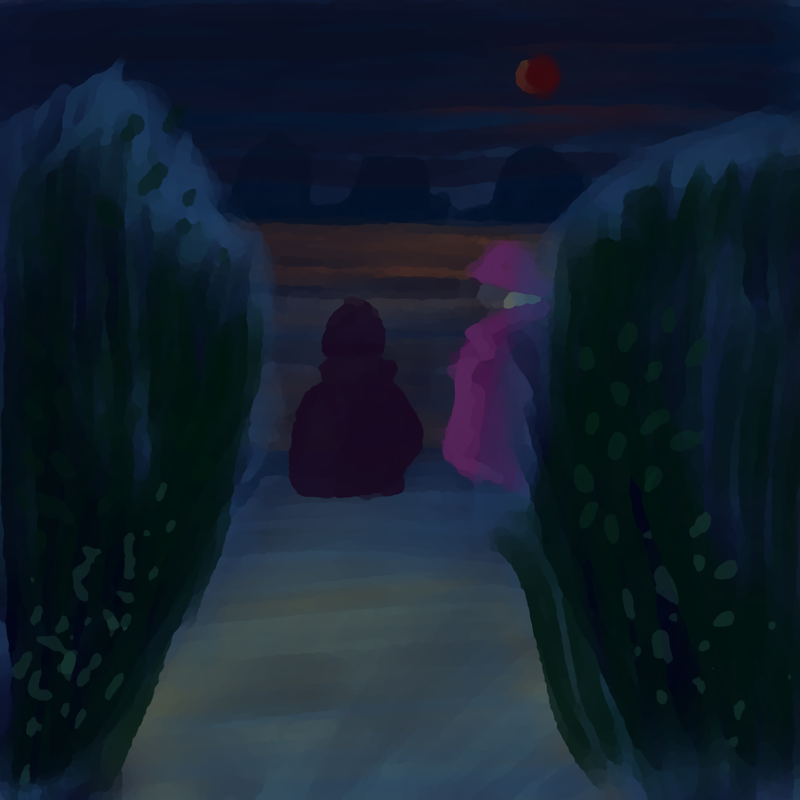 They sat outside until the moon disappeared below the horizon, longer than I was willing to tolerate the cold, at least before coffee was consumed. At one point while working on this picture my kids took a look and asked why I made a picture of myself on an alien planet looking at a large purple pot. Cool idea, and not an unlikely picture for me to make, but maybe posted at my one man, anonymous blackish metal band site. But not what I had intended. I guess some reworking was in order, but I think the final result works well. Another cool thing about Procreate is it automatically saves each step of your work in the form of a video. So you can see this same picture when it more resembled me looking at a purple pot on an alien planet.